Goldstone is actually a man-made glass with flecks of copper suspended in it, which give it the sparkles. Goldstone was said to be originally created by French monks, and in time the secret was lost. 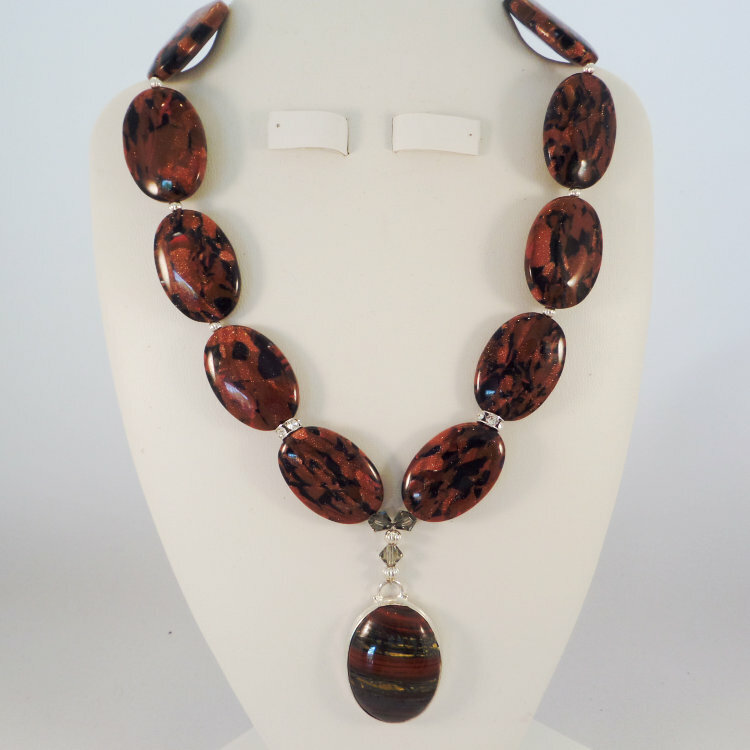 It's been rediscovered or recreated in modern times, though, and goldstone is a popular material because of its beauty as well as its metaphysical properties lore. Goldstone comes in the original "brown", a blue-purple, and a green. 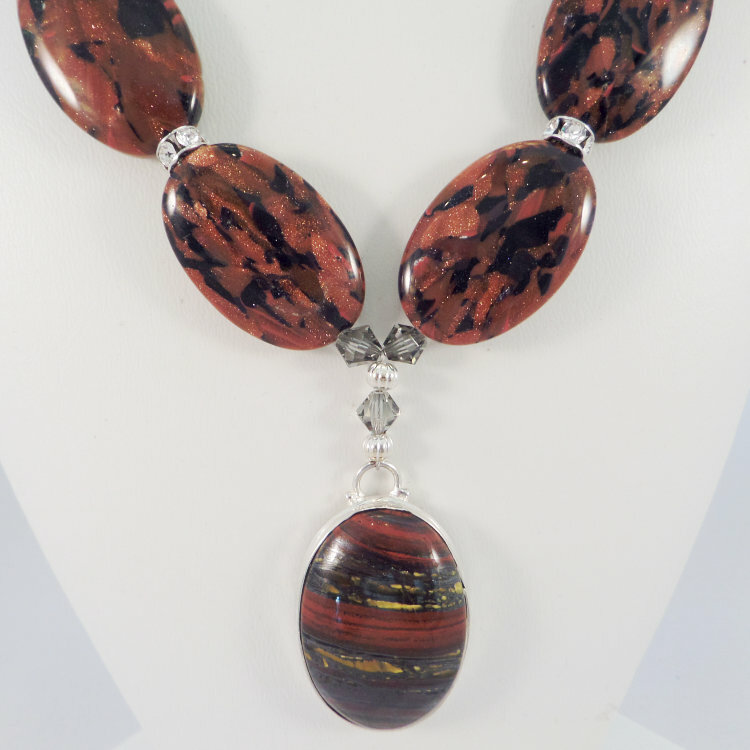 Each color brings its energies to the goldstone as well. 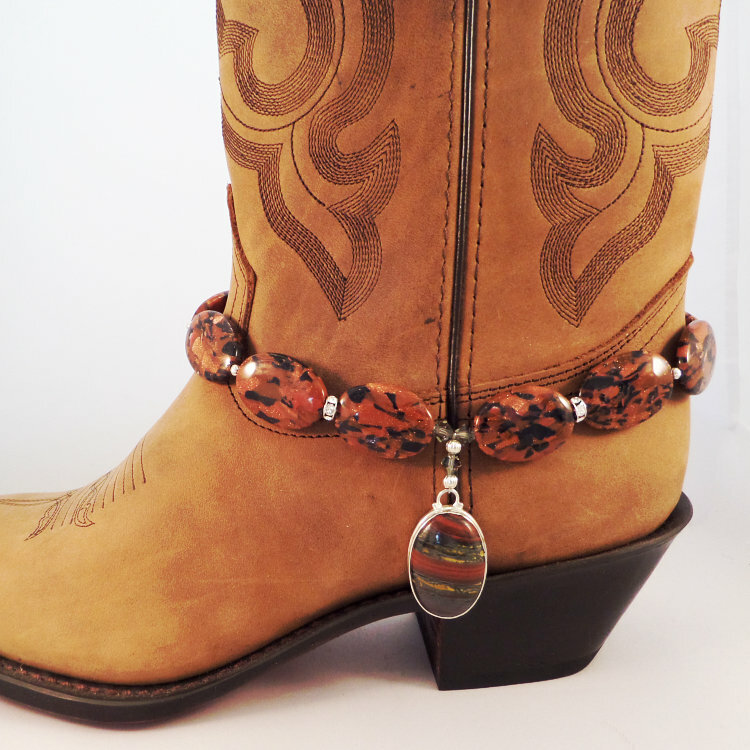 Designed to be worn as a 16" necklace or on your boots. Built on stainless steel wire and double crimped to withstand the stress of being on your boots.